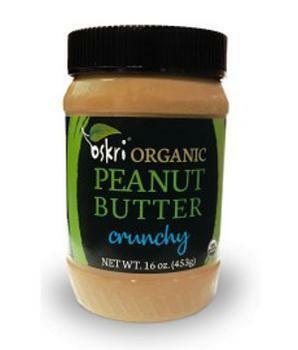 Oskri Organics Corporation of Lake Mills, Wis., is expanding it’s earlier recall to include all nut butters manufactured by the company. Multiple nut butters have tested positive for Listeria monocytogenes. The following items, produced since January 2018, with Best By dates of June 2020, are being recalled:. The recalled products are packaged in 16-oz., plastic jars with the lot number either on the top or bottom of the jar near the expiration date, and in pouches with the lot number and expiration date located on either the top or bottom of the back of the pouch. They were sold in New York, Michigan, California, Pennsylvania, Ohio, Wisconsin, New Hampshire. Illinois, Florida, Massachusetts, Texas, Arizona, Indiana, Idaho, Oregon, South Carolina and Rhode Island. Customers who purchased the recalled product should not consume it, but destroy it. Consumers with questions may contact Oskri at (920) 648-8300 Monday through Friday, 9:00 am 5:00 pm., or by email at info@oskri.com.